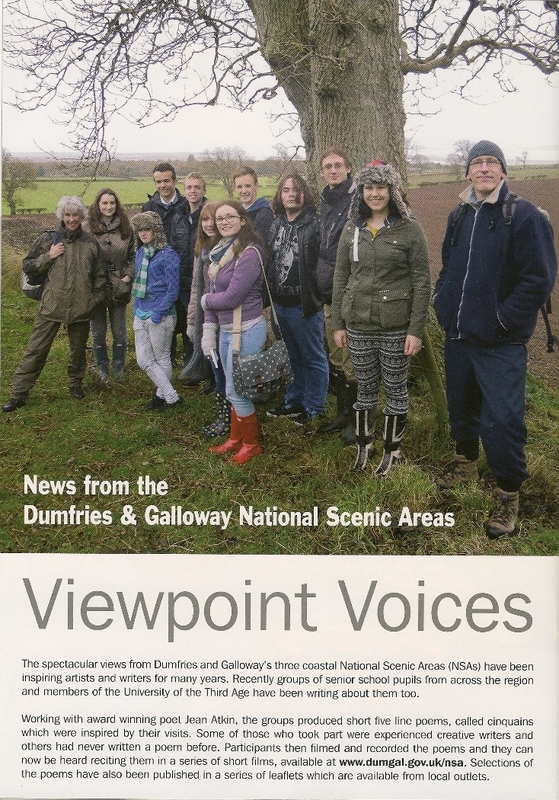 Just over a year ago I completed a long project in Dumfries and Galloway called ‘Viewpoint Voices’, in association with the National Scenic Areas (NSAs) of the Solway Firth. I worked with NSA officer Anna Johnson to locate many different groups of people, of all ages and backgrounds. Then we took them out to the six NSA viewpoints along this gloriously beautiful coast. The youngest was 8, the eldest folk in their 80s. We created cinquains, a short poetry form, based on syllables, not unlike a haiku. But a bit longer. 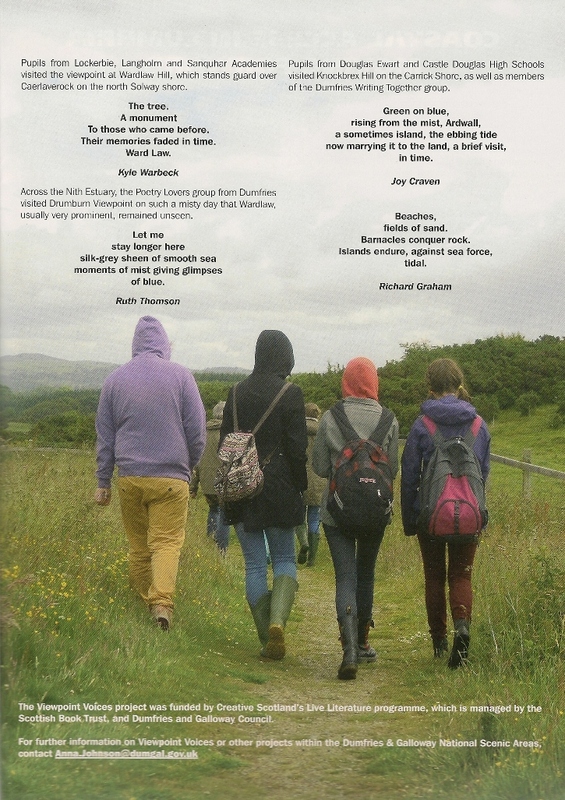 We recorded each poet reading their cinquain and made them into into video-clips set over images of the coast. The short film clips were then uploaded to YouTube and onto community websites. I was really pleased to receive copies of ‘Tidelines’, the glossy newsletter of the Solway Firth Partnership, featuring a new double spread about the project (just click to enlarge).